I have been long considering adding Altria (MO) to my investments because of its long history of dividend growth. On March 13, 2007, MO distributed a quarterly dividend of $0.86/share, equivalent to a $3.44 annual dividend (5.00% yield). Though the spin-off of Kraft Food will reduce its annual dividend to $2.75, MO has increased its dividend payout every year since 1970, with approximately 9% year-over-year dividend growth in the past five years. MO is available through ComputerShare’s DRIP program, but I will have to pay $2.50 every time I made a purchase using the automatic investment plan, plus $0.03 per share processing fee (there’s no fee for the Bank of America (BAC) and Progress Energy (PGN) shares I purchased through ComputerShare). 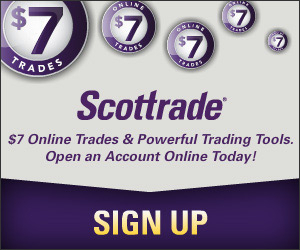 Therefore, I chose to make a 70-share one time purchase from Firstrade with $6.95 commission. Also, with Gold price losing nearly $30 in less than 2 weeks, I added a little more to my Tocqueville Gold Fund (TGLDX). This is one fund that I don’t have automatic investment. Instead, I buy whenever I see gold price drops like this. The other fund I don’t buy automatically is Dodge & Cox International Fund (DODFX). Surprisingly, both are doing very well compared with other funds that I do DCA. Am I trying to time the market?